Square Enix has found a clever way to show off the Magitek Armor that will be found in the upcoming Final Fantasy XIV: A Realm Reborn. Instead of putting the monstrosities in the midst of a huge battle, they go for the nostalgia within us all to recreate the beautiful opening to Final Fantasy VI. A young green haired woman rides a giant robot through the snow with two companions at her side. There is an obvious tension in the air that nothing but bloodshed awaits when they arrive at the peaceful mountain mining city they are slowly bearing down upon. Final Fantasy XIV: A Realm Reborn is the ultimate apology from Square Enix for the disaster that was Final Fantasy XIV's initial launch. So maligned and hated amongst longtime fans, they wisely counted their losses and rebuilt it from the ground up in this brand new game. What better way to show gamers that they have nothing to fear from this new product than by luring them with the thoughts of one of the best, if not THE best, games the series has to offer? In fact, I would say this trailer does a bit too good of a job, and it makes me want to play Final Fantasy VI all over again instead of wanting to play Final Fantasy XIV. I'm sure that will be the case for a lot of old timers like me. Either that or the Square Enix fans will begin to demand even more remakes of their old favorites. We'll see. 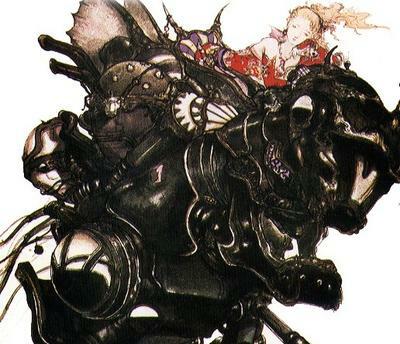 Final Fantasy XIV: A Realm Reborn will relaunch sometime this quarter.